The Wilderness Review: What's Next for the Democratic Party? The Wilderness: What’s Next for the Democratic Party? Within the first three minutes of The Wilderness, host Jon Favreau plays a clip of himself on national television in 2016 offering his election prediction: “He’s not going to win.” It’s a sharp break from the confident prescriptions for Democrats and the country that Favreau and his co-hosts offer on Pod Save America twice weekly. But by admitting fault from the outset, Favreau establishes the tone of humility and seriousness he maintains throughout the project. The Wilderness represents a detour from Crooked Media’s growing slate of talk shows. It is a scripted, 15-chapter documentary tackling the history and challenges facing the Democratic Party. Most of the series attempts to answer the short but complex questions Favreau poses in Chapter One: How did we get here? And how did we lose to this guy? The power of the first three chapters lies in Favreau’s serious yet balanced approach to the history of the party, the Obama years, and the 2016 election. This is 200 years of history, but Favreau covers it well by relying on interviews with experts and audio from the time period. Most compelling are the darker moments: footage of Black Lives Matter protesters and Confederate sympathizers shouting at each other, and the Fox News call of the presidency for Trump in 2016. By bringing listeners back to these harrowing moments, The Wilderness frames the solutions oriented-discussion in later episodes and gives listeners a moment to reflect in the middle of an otherwise wonky series. Impressively, Favreau handles the 2016 election by giving equal airtime to nearly every factor in the outcome, including Trump’s appeal to white voters, the Comey letter, Hillary Clinton’s public baggage, and the contentious primary fight between Clinton and Bernie Sanders. His ability to briefly and fairly discuss each of these elements establishes from the outset his commitment to balanced analysis underpinned by multiple perspectives. The documentary form makes The Wilderness an intellectually weighty trip through history to the current political moment. Regular listeners of Pod Save America and other Crooked Media podcasts know that while Favreau and his co-hosts are not John Stewart or John Oliver, they bring regular humor and real personality to their analysis of the week’s political news. Their tone makes them more personable than most cable news pundits, and their success is a testament to their ability to do the impossible: make liberals smile when they’re listening to people talk about Trump. 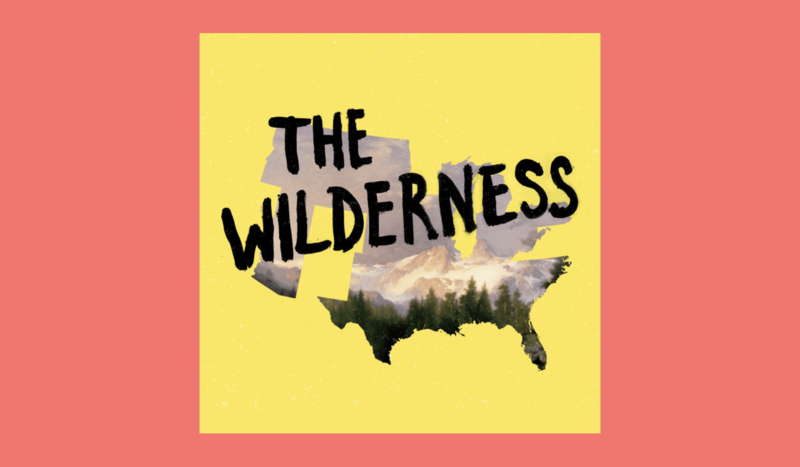 But the topics of The Wilderness leave little room for curse-laden rants about Trump, perhaps because, as Favreau tells us in Chapter One, it’s not a podcast about Republicans or “him.” It is a podcast about the Democratic Party. Making a joke about the history of white supremacy in the party, Bill Clinton’s neoliberal tendencies, or the Bernie campaign’s effect on the 2016 election outcome—all topics covered in the first three chapters—would likely alienate listeners rather than further the mission of finding an inclusive vision for the party. The quest for that vision begins in earnest in Chapters Four and Five, two of the most democratic (lowercase d) mainstream discussions of politics I have heard. Rather than starting with pollsters, pundits, and historians, Chapter Four features the voices of voters. Favreau even set up an answering machine for people to call in with their answer to the question: “What’s wrong with the Democratic Party and how do we fix it?” He also conducted focus groups in Michigan and Texas that included voters who didn’t vote in 2016 or those who voted for Barack Obama in 2012 and then Donald Trump in 2016. Importantly, footage from both of these projects appears in Chapter Four, allowing voters to explain their own views rather than having a pundit speak on their behalf. In Favreau’s foray into questions of how progressive Democrats should be, particularly on identity politics, his balanced, deferential argumentative form is on display. He gives airtime to callers who believe the party should move to the center and focus less on identity politics. But strategically, he ensures Sean McElwee, co-founder of the progressive think tank Data for Progress, has the last word with data-driven arguments showing overlap between identity politics and the progressive agenda and support for progressive policies even in swing districts. In doing so, Favreau deftly strikes a balance between creating a forum for all perspectives and leaving listeners with his own view that the party should embrace both a progressive platform and the interests of marginalized groups. That view, however, comes largely from someone else’s mouth. The following set of episodes deals with specific questions of platform and strategy for Democrats. In Chapter Five, Favreau discusses race, or, more accurately, he airs the voices of people of color who share their ideas on how Democrats should address politics and policy in their communities. Favreau’s humility and deference are clear throughout the series, but they are most important and obvious when he, a white man, tackles race. While Favreau offers specific platform suggestions at the end of the episode, at no point does he explain how Black voters should feel about these issues or race in America at large. Rather, he turns the microphone over to Black Americans like former Attorney General Eric Holder and Democratic strategist Symone Sanders. This is an important and powerful move by the white founder of a media company, and it embodies the tone and tact of the entire series. In Chapter Seven, released today, Favreau will hopefully embrace a similar approach when he addresses immigration. Favreau’s approach in Chapter Five establishes a model for any white person wading into conversations about race. More broadly, the method and structure of The Wilderness should be a lesson to the Democratic party on how to ask questions about voters, politics, and policy. Favreau worked on the Obama campaign and in the Obama White House. As an insider, he has credibility among Democrats in his own right. Rather than relying on that trust, he amplifies the voices of others and expresses his own views by structuring episodes with an angle, not a heavy-handed argument. His ability to listen to all corners of the party sets an example for how all political insiders should tackle problems. Favreau ends Chapters Four and Six with a call for an inclusive message and vision for the Democratic Party. I don’t know if it’s a coincidence that Democrats changed their slogan for the 2018 midterms to “For the People” shortly after the release of Chapter Four, in which Favreau advocates for building a “party that speaks to everyone.” Regardless of whether Favreau himself is driving changes in Democratic messaging, he boldly attempts to answer questions of how the Party can better serve minority populations while winning back white, working-class voters. Experts offer their solutions at the end of Chapter Six, and I’ll admit Favreau and his guests don’t paint a clear-cut picture of the path forward. But building a “multiracial populism,” as Heather McGhee of Demos calls it, is a process neither clear-cut nor speedy. Nevertheless, Favreau’s multi-faceted attempt to find a path forward—rather than simply complain about Trump and re-litigate the 2016 election as so many Democrats do—is refreshing. Unlike most of Crooked Media’s work, The Wilderness is not funny. The only time I felt like laughing was during the ads, which include jokes at the expense of Pod Save America co-host Jon Lovett and a side conversation on Favreau’s recent purchase of a pair of J. Crew shorts. Nearly two years since Crooked Media’s founding, we know that Favreau is funnier and more personable than your average cable news pundit. But he is now also a trusted voice who doesn’t need his usual humor to be compelling in The Wilderness. The intellectual weight, and Favreau’s willingness to sit in the background while a diverse set of voters, politicians, and experts speak, are engaging enough.